Here are some highlights from this years South By Southwest film section. A declaration; “Deathgasm” was my favorite movie at “SXSW.” Was it the best movie at the festival or at least the best movie I’ve seen at the festival? Eh, probably not. Some movies are just tailored made for some folks and the slap-stick- gore-infused-metal-fest hit every neuron I had with a battle axe. I don’t know what it is about New Zealand, but their output for comedy/horror movies is remarkable. “Deathgasm” fits right in with “What We Do In The Shadows,” “Housebound,” and “Dead Alive.” If you like heavy metal, gore and whatever the hell that brand of humor is, “Deathgasam” is for you. So, for all intents and purposes, “Deathgasm” is a perfect movie. Ambiguity is a more tangible fear than a crazy guy with a knife. It’s one thing when intentions are clear, but the cerebral uncertainty that “The Invitation” constricts you with is just plain uncomfortable. It’s already awkward when you’re attending your ex-wife’s dinner party, but adding cults and a possible ritual murder is unbearable. With a stellar cast, “The Invitation” sets a tone where every overly polite grin strikes you down with paranoia. It may feel repetitive at times, but it’s a worthy investment for a remarkable finale. It’s also refreshing to see a slow burn and un-ironic horror movie that doesn’t involve ghosts, demons, slashers, or found footage. Sure Amy Shcumer, why the hell not? You’re already pretty hysterical; why not throw in a genuinely endearing actor and screenwriter. 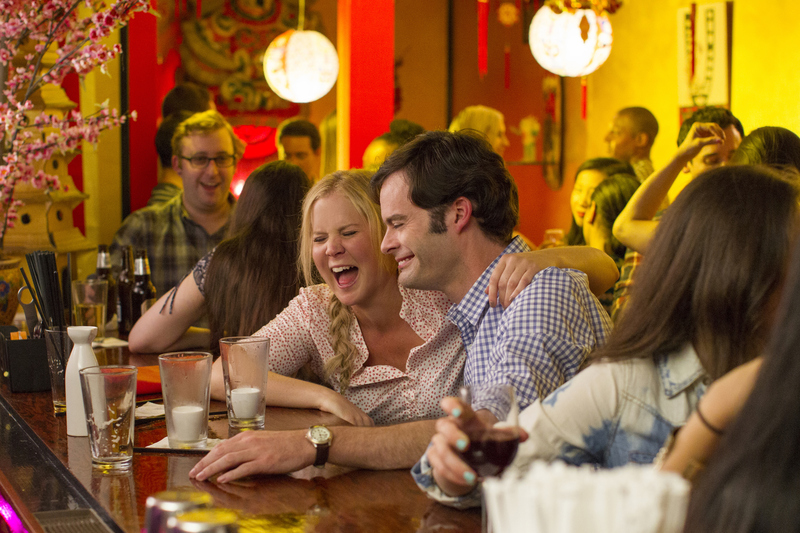 Judd Apatow’s latest film stars a socially irresponsible woman of hedonism also named Amy. She works at a vanity magazine (not Vanity Fair, but a magazine devoted to looking good and having fun) and drinks herself to sleep with a different guy almost daily. It’s a movie you can probably assume the ending to, but the quality involved is what elevates its impact. The performances provide more than their punchlines and Apatow keeps the drama just as present as the humour. Also, it’s rare to see a woman take up this role. There are plenty of male “Trainwreck” movies, but I can’t really think of one with the genders reversed. “ I saw a production cut of the film. It’ll probably be cut down by 10-15 minutes, but overall, it’s a solid movie. I’m sure if you were to look under the rock of any band, there’s some insane mellow drama to be found. There was a while where you could copy and paste different musicians into a script and churn out a movie. There’s some kind of tragedy, they use music as an outlet, they get successful, they find drugs, they clean themselves up, and bam…movie. 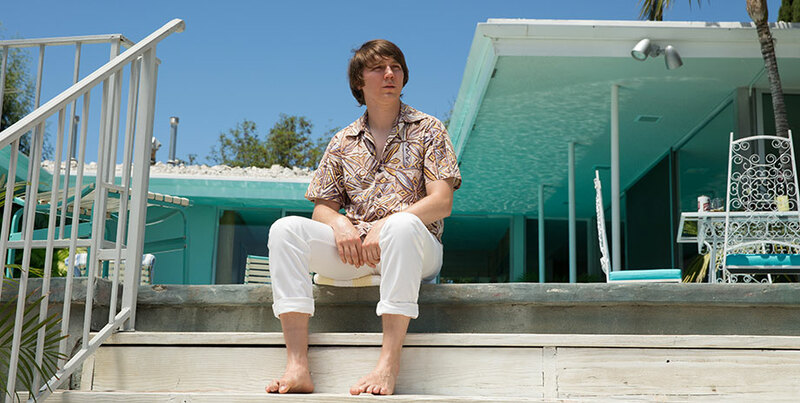 “ “Love & Mercy” chronicles the life of “The Beach Boy’s” Brian Wilson and his predicament doesn’t quite fall in line with that outline. “Love & Mercy” takes place during two time periods. Paul Dano plays the younger successful Brian, while John Cusack plays the older and incredibly medicated Brain. It’s interesting enough to see the two different portrayals of the same person in two different timelines, but it’s how one arc feeds into another that’s overtly fascinating. Plus, it’s always nice to see John Cusack not on autopilot. – I probably missed 30% of the jokes in “Trainwreck.” It was a 1,200 seat theatre and the sound of laughter muffled most of the follow up jokes. Good problem to have. – I have “Deathgasm” buttons on my backpack. – Favourite drink at the Alamo: Adult Grasshopper Milkshake.